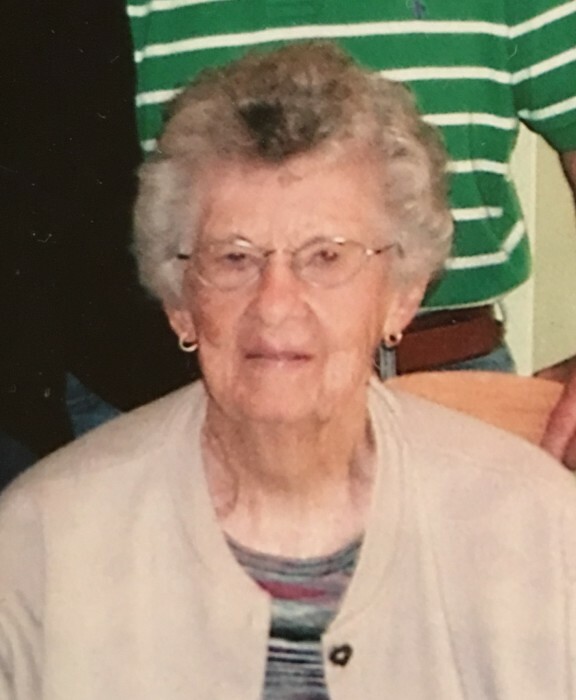 Harriet Boyle Lawson passed away April 1st, 2019. Harriet celebrated 101 birthdays. Following graduation from Walled Lake Schools Harriet graduated from Michigan State Normal College with a BS in Commercial teaching. Harriet and Ray Boyle were married July 3rd, 1941. Following the death of her beloved husband in 1967 Harriet moved to Lewiston where she met and married Howard Lawson in 1973. Harriet and Howard enjoyed traveling with their beloved German Short Hair dogs. Throughout their travels Harriet made wonderful friends resulting in lifelong friendships. Harriet's passions included golfing, playing bridge, snow skiing and water sports. Harriet will be remembered for her keen interest in politics, her integrity, loyalty and kind spirit. Harriet is survived by her son, Jack Boyle of Brownstown, MI; daughter, Patricia Boyle McNamara of Tahoe City, CA, beloved longtime friend, Christie Lathers of Torch Lake as well as several nieces and nephews. She was preceded in death by her sister, Jean Stoflet and her husband, Howard Lawson.